Elms (2014) and Home (2016) are two very different short films indeed – one being a visual poem featuring the titular tree, and the other a short narrative focusing on a homeless woman portrayed brilliantly by Maggie Gyllenhaal. Both films are available to watch online, so I’ve linked them below should you wish to give them a watch. 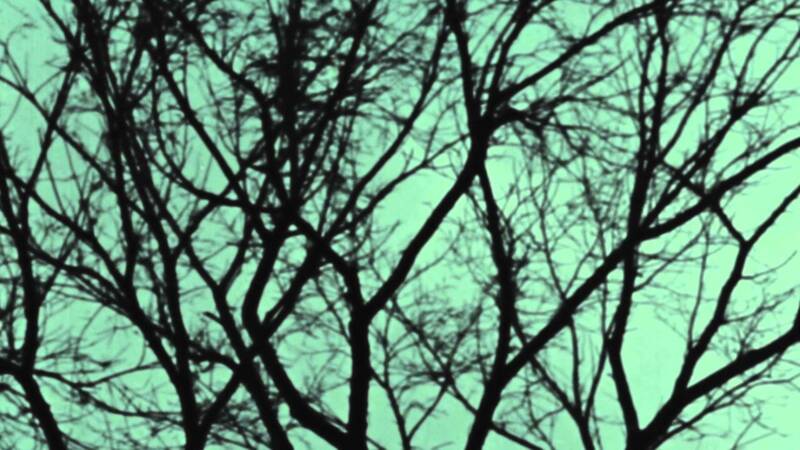 Produced for the Criterion Collection release of Guy Maddin’s film, My Winnipeg (2007), Elms is super disconcerting, a foreboding work of poetry on film. A man recites a poem about the humble elm tree as a symbol for something much more; however the man’s voice seems edited, strangely pitched, and every time he says ‘elms’ it’s as if he’s yelling it at us, startling us from our simple act of watching and listening. The poem speaks to a once-proud tree being corrupted by disease, and likewise, it is accompanied by distorted and dour synth music that reminded me a lot of David Lynch’s films. The visuals are dark and disturbing. Elms is an interesting thought experiment in how we understand poetry, and in the mismatching of poetry, visuals, and music. Worth a watch – it’s only three minutes long. A thoughtful short film by Kat Wood in partnership with Jameson First Shot, Home stars Maggie Gyllenhaal and Glenn Plummer. Gyllenhaal plays a homeless woman who lives in a tent on a public beach, but when her tent is ruined, she is approached by Plummer to consider the local homeless shelter. A quiet portrayal of the conflict between feelings of helplessness and pride, Gyllenhaal’s performance is understated but powerful. Whilst the script is clever and natural, the film’s real strength is in its silences. The short film’s other strengths are definitely in Gyllenhaal’s performance, in its gorgeous cinematography and direction, and in its quiet honesty. I wasn’t the biggest fan of its ending, but I also sincerely believe that this would make for a great feature-length film. Thanks! I love seeing what people are doing with shorts. Me too! I love short films. They can go so wrong or so right, and you don’t have to spend half your life waiting to see which way it goes. I’ve nominated u for th Mystery Blogger Award! Your site is always a pleasure! ← Look Who’s Back (2015): Quick-shot review!